Figuring out how to get a toddler to nap may be one of the greatest challenges parents face. There’s a reason Go the F**k to Sleep became an overnight sensation. If they only knew how they will treasure the luxury of a daily afternoon nap 20 years down the road. And lets face it, naptime gives moms a much-needed break from the mayhem of the terrible twos. 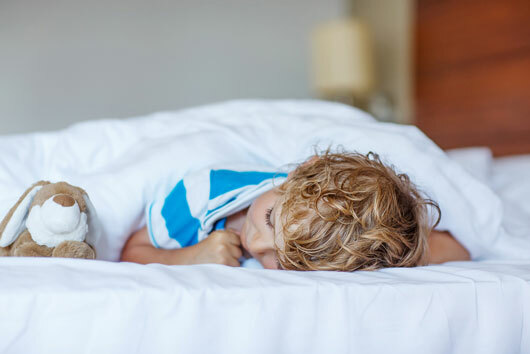 Although every child is different, most kids start outgrowing their morning naps at around two-years old and by the age of four, they may not need much afternoon down time either. We’ll probably never discover the one foolproof trick for how to get a toddler to nap, but there are a few things you can do to make it easier. First and foremost, pay attention to your child’s natural sleep cycle do your best to schedule naps, bedtime and morning wake-up accordingly. Keep an eye out for signs of sleepiness—yawning, eye rubbing, general crankiness, etc. Of course, your schedule is important too—ideally you’ll be able to find a happy medium between the two. 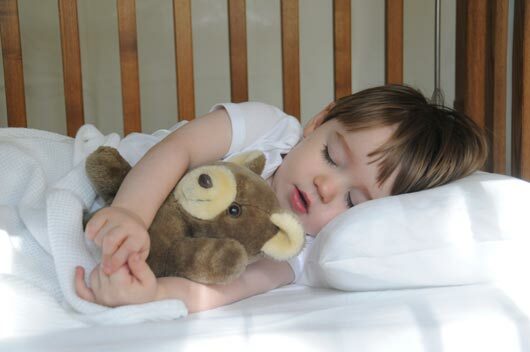 Think of your naptime ritual as an abridged version of bedtime and follow the same rules. Consistency is key. As much as possible, schedule naps for the same time every day. If your toddler goes to daycare, make sure your schedule matches theirs. Have a designated nap area—a bedroom is the obvious choice—that’s quiet, cozy and free from distractions. You can help kids get into a sleepy mood by planning quiet, relaxing pre-nap activities like reading or drawing. Obviously you can’t force your child to sleep so if it’s just not happening, don’t push it—you may have to settle for 30 minutes of quiet time on occasion. If there are siblings in the house, it’s helpful to give them a quiet activity during naptime. There’s nothing a two or three-year old hates more than not being able to get in on the action if fun is happening nearby. You never want naps to feel like a punishment or time-out. This will only escalate the battle of wills. Make naps something pleasant to look forward to and let your toddler feel more in control by making a ritual of letting him or her choose a toy to sleep with, pick out some comfy PJs and decide on a pre-nap story or song. Lastly, if your toddler is getting a good 11 or more hours of sleep at night and absolutely doesn’t want to sleep during the day, it may be time to do away with naptime. Most kids phase it out at around five-years old. Now, if you haven’t outgrown naptime, don’t panic. Moms need a break too! You can still schedule a quiet time each day so everyone can rest up for 30 minutes or so.